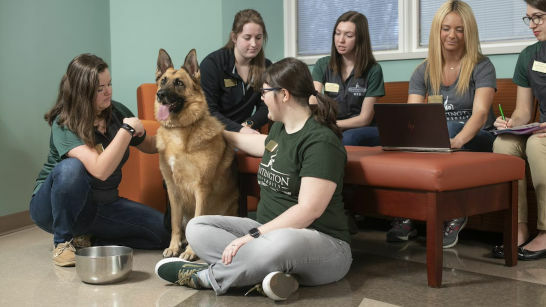 The purpose of the Huntington University occupational therapy capstone, also known as the doctoral experiential component (DEC), is the synthesis of evidence-based practice and occupational therapy principles. As a capstone student, you will demonstrate the advanced skills you acquired in class while you gain experience in a clinical or practical setting. 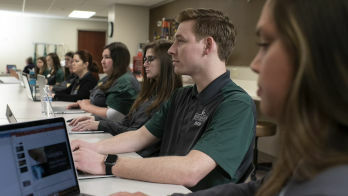 First, students complete coursework in at least one area of study, choosing from clinical practice skills, research skills, administration, leadership, program and policy development, advocacy, education, or theory development. The DEC then provides capstone students with an opportunity to apply that study to a specific area of practice that interests them. Students develop and complete a DEC that is consistent with the program’s curricular design and will utilize advanced skills beyond the generalist level. DECs last at least 640 hours over the course of 16 weeks. Students spend a minimum of 515 hours during that time on site working directly with their target population. Ideally, the DEC will enhance evidence-based practice students have already encountered and strengthen emerging areas of interest as they integrate their varied experiences into the profession. 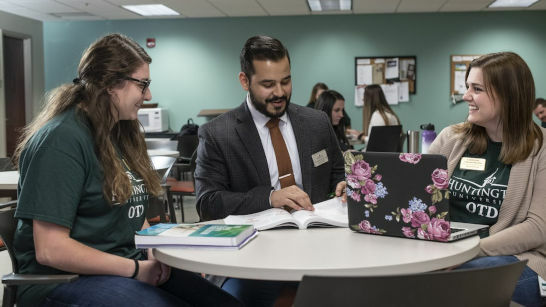 Our students enter the job market with advanced skills in research, program development, OT education, or cross-cultural practice, to name a few of the possibilities. More than “just another new grad,” our OTD graduates are tested professionals who add specialty experience and perspective to the professional team from the outset.